The tournament will award four million Mexican pesos’ worth of new cars, boat motors and professional fishing equipment to the winners. 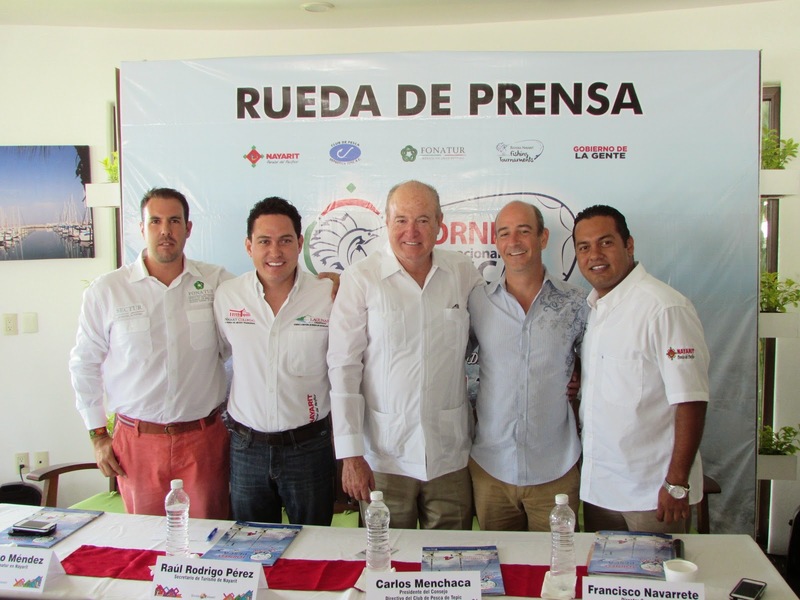 The 54th San Blas Riviera Nayarit Fishing Tournament will take place on May 28th through June 1st at the Marina Fonatur in the historic Port of San Blas, according to a press conference held by the Organizing Committee together with Nayarit’s Secretary of Tourism, Raúl Rodrigo Pérez. The bounty for the winners totals more than four million Mexican pesos and includes nine new cars, boat motors and professional fishing equipment. Those who can beat the current record of 70 Kg for a sailfish will win a car, and another one will be raffled among all of the other participants that didn’t already win one. “This year we’re expecting to surpass the 63-boat registration record we established last year and thus keep our status as the best fishing tournament in the Mexican Pacific,” said Francisco Navarrete Buhaya, General Manager of the Riviera Nayarit Fishing Tournament. The Riviera Nayarit is considered one of the top sport fishing destinations in the world thanks to its exceptional climate, marine conditions and species diversity. “There are older tournaments than that of San Blas, however, since 2010 it has gained notoriety as the best thanks to its capture records, the amount of registered vessels and, of course, the prize money and awards we give out,” commented Buhaya. There are three categories: sailfish, marlin and dorado. Every year, the top winner in each category is entered into the “Hall of Fame.” This year they’ll be welcoming anglers from Nayarit, Jalisco, Sinaloa, Guanajuato and Veracruz among other states, as well as sportsmen from the United States and Canada. “The Board we have in place today has teamed up perfectly with the State Government and the Riviera Nayarit CVB. All the promotion the event has received thus far has brought in great sponsors and every year their support grows,” acknowledged Francisco Navarrete. Besides the San Blas event, the 3rd International Fishing Tournament in La Cruz de Huanacaxtle will also be held later this year on October 15-19. Those who are interested in participating in these tournaments are invited to visit the official page of the Tepic Sport Fishing Club at www.clubdepescadeportivatepic.com.